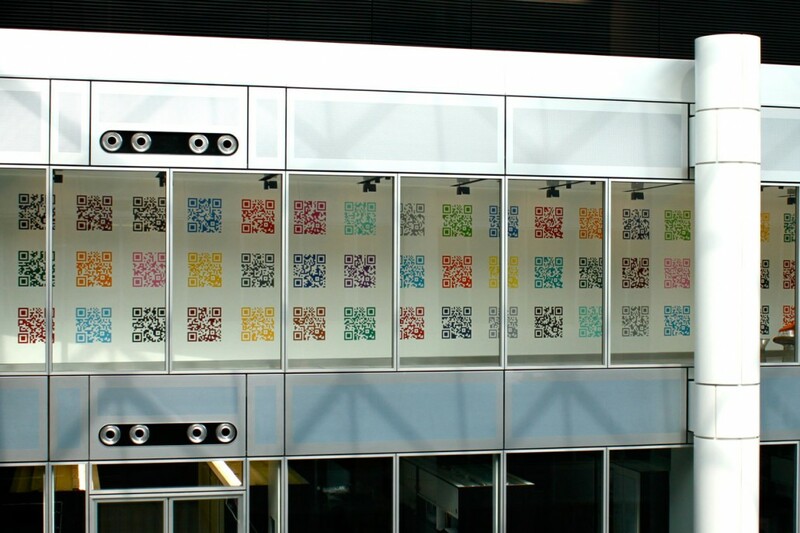 The 2012 prize winner, Conall McAteer, a Central St Martins graduate, presented a stunning proposal to the Clyde & Co Art Committee, whereby his submission focused on how art and money are often intertwined in ways that are unproductive and diminishing. 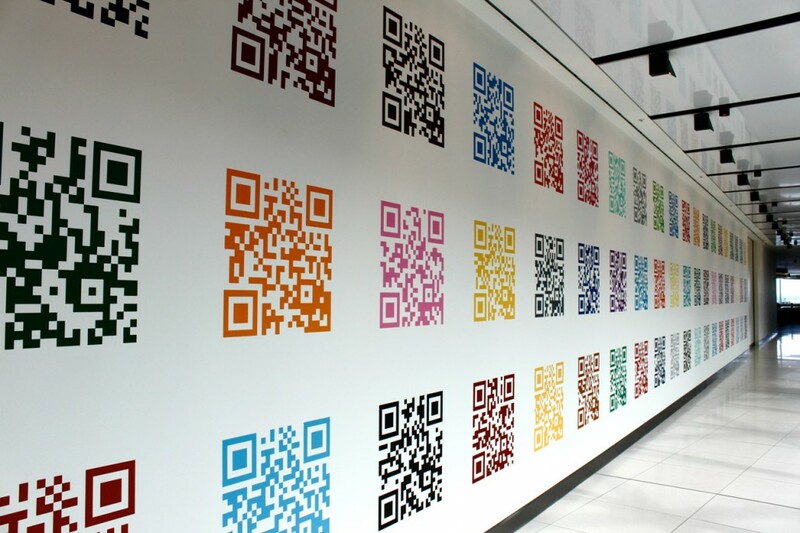 Drawing on the abstract visual imagery and functional digital purpose of QR codes – a matrix barcode widely used in products and consumer advertising – Not For Love Nor Money curates an exhibition of sixty of the most expensive, heavily insured and highly guarded artworks to date. 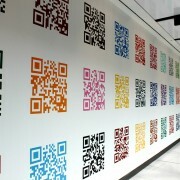 A collection which even for all the love and money in the world would be impossible to bring together. 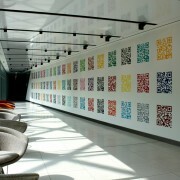 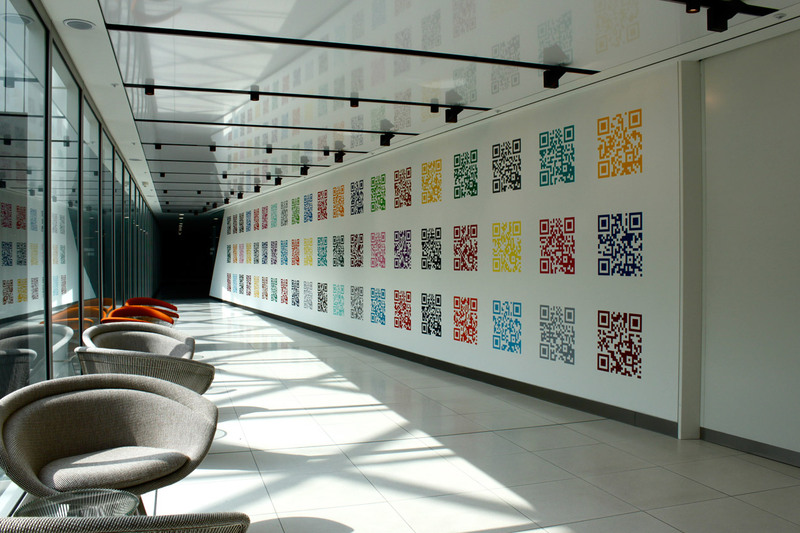 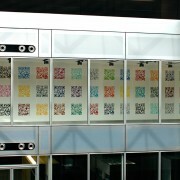 The installation enabled staff and visitors alike to scan the QR code with their smartphones after which the image of the work it represents will appear directly on their phone screens.